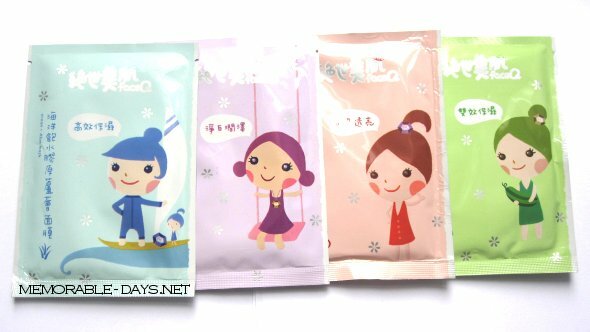 FaceQ sheet masks haul | Memorable Days : Beauty Blog - Korean Beauty, European, American Product Reviews. Face Q added these 2 masks by the end of 2010. The shape of these masks are slightly different than the other ones. These will also cover the neck area. pictures found through google search. Have you tried these masks before?